It is about to become something of the past. That’s sad because it really is something from the future. Something that could have even shaped it. If you had a Wave account, you might agree with me. Google announced the end of the Wave project months ago, but last weeks mail from the Wave team was sad to read and if you have an account, am sure you felt the same way. The Google Wave project excited the imagination of everyone and every user was able to visualize the potential of Wave in their own sphere. Some of my colleagues in the ECM space were excited about it’s potential for co-creation and collaborative content management. Could Wave sow the seeds for the new paradigm in Content Management? Yet another bunch of my geeky friends found the mash-quotient exciting. A colleague and I, spurred by some intense possibility discussions used Wave to mash up maps and tried to work up a sort of a ‘beat route’ for Medical Reps. Another friend who was already on high octane excitement on Yahoo Pipes almost choked looking at new possibilities that opened with Wave. Others were excited about some of the new possibilities in social features. In the meanwhile, our own BPM community was buzzing with possibility thinking. Perhaps the single common thread among all these perspectives was that it fired the imagination in a lateral direction on Collaboration. Collaboration between people. And technologies. Needless to say the ‘adaptive’ aspects brought out some of the most interesting discussions wrt BPM. And it didn’t stop with just discussions. SAP’s Gravity prototype was Wave in action and piqued our imagination. Gravity was a sort of proof what Wave could do in BPM. Although it was around design-time use of collaboration, the possibilities in run-time were not difficult to imagine. And so, it is definitely sad that Wave won’t be around after January 2012. 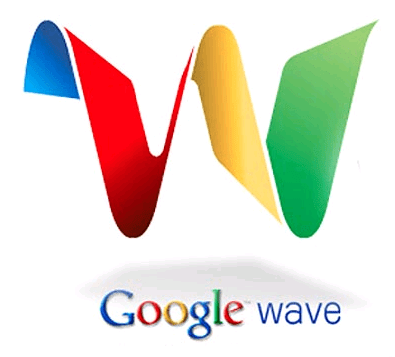 Google though has indicated that some of the technology that went into Wave will be used in their other products. A lot has been written about the Wave and its implications on BPM. Scott Francis wrote a few posts (I liked this one particularly) on the possibilities of Wave in BPM and in one of them, he discusses Jacob Ukelson’s article Can Google Wave Become a Disruptive, Good Enough BPMS. Scott lists out why Wave could not become a serious contender in the BPMS space. It isn’t really Google’s intent to build a BPMS. They don’t think of the problem Wave is solving as a “process”. As a result, they’re unlikely to take it in that direction. I don’t think you end up with a good BPMS my accident. The structured parts of process are actually useful for larger organizations that actually have that kind of structure or volume. There is a lot of magic under the hood of a BPMS that wouldn’t be trivial to recreate using Wave. Not impossible, just not trivial. More likely is a mash-up approach like the SAP Gravity demonstration. It still sits outside the firewall of the corporation, and for all too many companies, that is still a regulatory problem, not to mention a security problem, for their data. But today although it is rather sad to learn that Wave is not going to be around, I would say that it has already achieved a lot. It has widened our imagination and posed possibilities that can inspire the evolution of adaptive and collaborative features that can be incorporated in BPM suites. Wave came in with a message like a messiah and left leaving us with a lot food for thought as we move into another exciting year of BPM. With 111 queries in 2.681 seconds | Valid CSS 2.1. | Valid XHTML 1.0 | 88 posts within 27 categories, 225 tags and 24 widgets.